This post on whether Hybrid vehicles save money contains affiliate links. The demand for hybrid vehicles has been growing all over the world as more and more car buyers choose hybrid cars over conventional cars. Many car experts and enthusiasts claim that hybrid cars are the best option for budget car buyers that would like to save money in the future. However, the biggest question that still remains is whether hybrid cars can really offer some saving options to car buyers and if they do how do they provide such options to the buyers. Hybrid cars are expensive compared to the regular conventional vehicles. There is no doubt that car buyers will have to spend more money when they are buying hybrid cars. On the other hand, hybrid cars run on battery and gasoline. This can mean huge they end up saving a lot of precious fuel that can increase your expenses over the years. If you’re just looking at the initial cost, yes, hybrids are more expensive. If you look at the overall cost of ownership, though, you will find that hybrid cars save you lot of money. It is estimated that most car owners usually spend $400 each month on their car fuel. That’s a total of around $4800 per year on fuel! With hybrid cars you save more than 50% on the fuel cost so you are saving a lot of money here: about $2400 per year, or $200 per month. Depending on the initial cost of the car, though, it could take years to make up that difference if you’re paying a significantly higher amount for your car payment. In fact, it could take up to a decade! Most people don’t even have cars that long. Then again, if you’re a commuter and traveling long distances every week, you could make up that savings much faster. The hybrid cars that run on batteries usually have longer battery life and performance. You can always switch on batteries when you are driving in the city. Some of the hybrid vehicles offer better distance on electric batteries and therefore you end up saving fuel while you are in the city. On the other hand, hybrid cars have technologies that allow the vehicle system to switch from batteries to gasoline when 80% of the battery is used up. Hybrid cars that have batteries use electrical power to recharge the batteries in the car so it takes around six hours to get it recharge completely. This also means that your electric utility bills might go up to some extent and you might pay extra money there so that can cut down the savings as well. Since hybrid vehicles turn the gas engine off when you’re sitting in traffic, it can reduce wear and tear on those components. If you’re spending a lot of time driving in the city, this can be very beneficial. 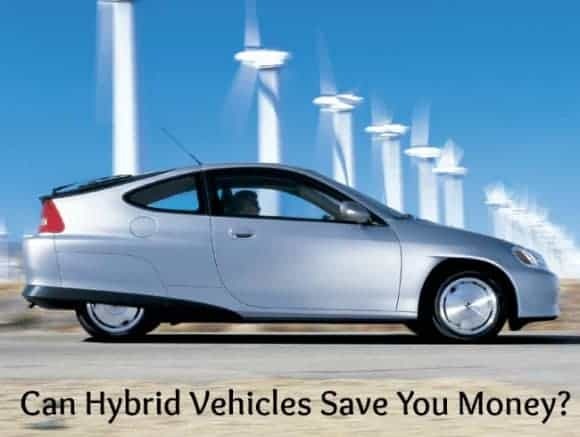 Years ago, when they first hit the market, many owners complained about the high cost of repairing and maintaining their hybrid vehicles. Now that they are more popular, though, the parts are relatively easy to find and comparable in price to regular vehicles. Bottom Line: Do Hybrid Vehicles Actually Save Money? Bottom line? It really depends on how you use them. If you’re traveling 200 miles a day round trip to work and driving a gas guzzler, then yes, they sure can save money! If you use your car mostly as a second car to run errands once a week, then no, not really. Hybrid cars are better for the environment, though, so if your budget isn’t really a concern, then they are great for that purpose. Otherwise, you may be better off checking out tips on how to make your current car more green and holding off until the price of hybrid vehicles comes down a bit. What do you think? Would you be more likely to save money by driving a hybrid vehicle? Wonderful article. Thanks for the info! I drive a 15 year old SUV that is horrible on gas. But, I drive less than 10,000 miles a year, I need a vehicle that hauls at least 6, and I own it outright. For us, buying anything newer, hybrid or not, just doesn’t add up. My car is a bit of a gas guzzler, so I definitely think a hybrid would save me money. It may be a while before we’re ready for a new car, but I know I want the next one to be a much more eco-friendly vehicle that gets better mileage. My sister has a hybrid and loves it! We need a mini-van but I would most certainly love a more eco-friendly version. Ours will not be replaced until it dies but still looking now. I’ve been wanting a hybrid. I think it would definitely save money!